Welcome to Dr. Michael S. Barnes, D.D.S. From the very first moment you are greeted in his Beautiful office, to the many pleasant goodbyes, you will be treated by Dr. Michael Barnes and his staff with the most professional, caring, amazing attitude possible. Dr. Barnes prides himself on treating all his patients as if he were treating his family. Everything is done to perfection..
Time is taken to ensure success. We understand that in an emergency, waiting feels like an eternity. We offer same day appointments, and give our best to prevent emergencies from occurring in the first place. Conveniently located in the very heart of Newport Beach. In walking distance to Fashion Island, our office is located here for over 30 years. Find out why our clients love us. Our dental practice is constantly rated with extremely high marks. What is our secret? Visit us and find out. 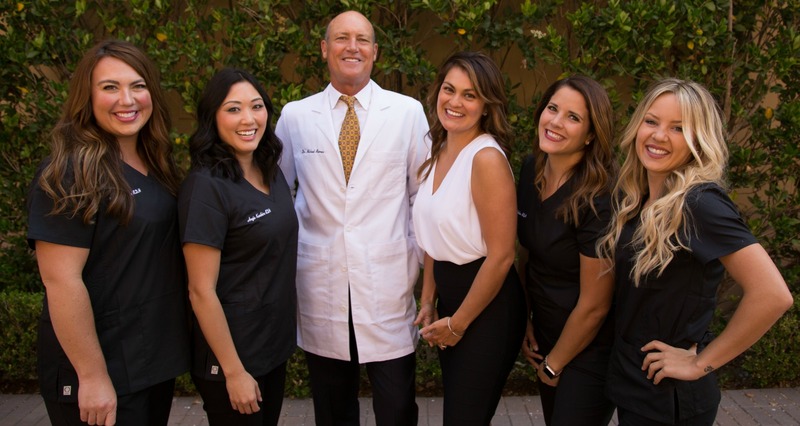 Our dental family begins with Dr. David Barnes starting his practice here in the beautiful city of Newport Beach in the 1960s. His son, Dr. Michael Barnes soon followed his father’s footsteps and worked together for many years until his father’s retirement in 2007. Dr. Michael Barnes is very proud to continue serving the community where he grew up and bringing all of his patients the very best professional and personal care that he possibly can. Our fabulous dental assistants and friendly dental hygienists are very committed and enjoy providing exceptional care and treating everyone that walks through the door as if they are family. Suzie grew up in Hemet, California and earned her RDA at Orange Coast College before transferring to UC Santa Barbara. Suzie has always loved working with people and educating patients in the best methods and tools for homecare. She has been in our office for over ten years. She handles our schedule, takes all over our phone calls and help our patients understand any insurance questions they could possibly have. Outside the office, she enjoys the beach, paddle boarding, jogging and trying new restaurants and activities with her husband. 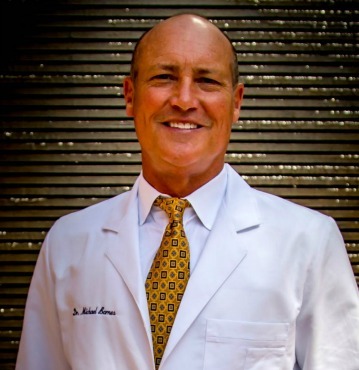 Dr. Michael S. Barnes received his Doctorate of Dental Surgery-DDS degree from the Prestigious University of the Pacific Arthur A. Dugoni School of Dentistry in San Francisco in 1989. He attended the University of Utah, graduating in 1985 with a degree in medical Biology. Although he was born at the University of Iowa, he has lived in Southern California his entire life. Known for his personalized and compassionate care, and always putting the patients needs ahead of himself, Dr. Barnes has earn the reputation as the doctors dentist, treating many fine physicians and fellow dentist that have realized how hard it has become to fine a clinically skilled dentist that has the old school philosophy of doing the right thing over financial gain. Sports and the love of the outdoors is where you will find Dr. Barnes when he is not at his dental practice. Having two very active boys that grew up playing every sport, Dr. Barnes has spent many hours volunteering and coaching their basketball and baseball teams over years. Dr. Barnes resides in Newport Beach, and can be found playing golf with his wife and kids on most weekends. Kristal is the newest member of our team. Her mom is a dental assistant so she has grown up in a dental office. She loves to get to know patients and on her free time she likes going to the beach. 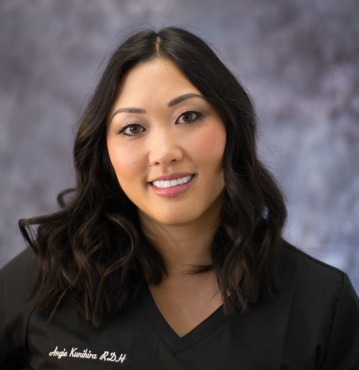 Angie graduated in 1999 with a Bachelor of Science Degree in Dental Hygiene from Loma Linda University in Southern California. She decided to move to the beach in 2008 to enjoy the cooler weather and change of scenery. Biking on her cruiser, trying new restaurants and skiing are just a few of the hobbies she enjoys in her time off. Her ultimate goal is to keep patients educated and to provide a gentle yet thorough cleaning in order to achieve optimal health. Katie is the newest hygienist here at Dr. Barnes dental office. 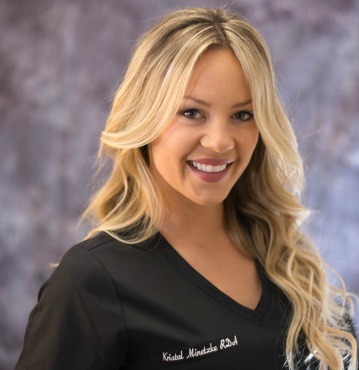 Katie originates from Park City, Utah and moved to California to pursue her dream of becoming a Dental Hygienist. Katie graduated from West Coast University with a Bachelors of Science degree in Dental Hygiene. She graduated with multiple achievement awards including Colgate Star Award, CDHA Student Leadership Award, and Total Care Research Award. Katie spends her free time traveling, gardening, going to the beach and spending time with family. 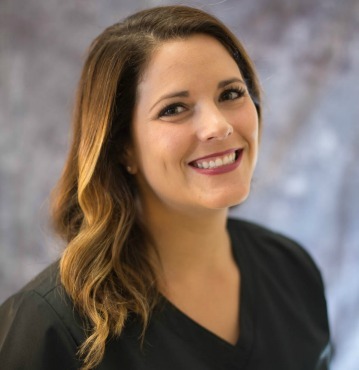 Katie prides herself on providing the best patient care and finding methods to help improve each and every individual’s oral health needs. 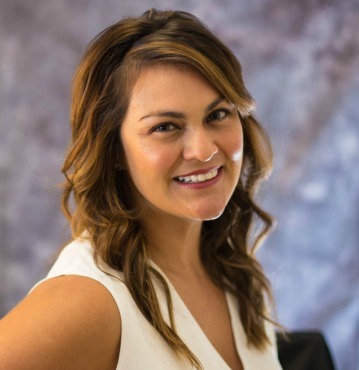 Valerie was born in San Francisco while her father was attending Dental school at UOP. 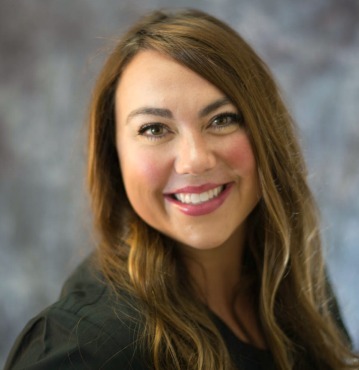 Following in her dad’s footsteps, she received her bachelors in health science at Brigham Young University and her dental hygiene degree at San Joaquin Valley College, located in her hometown of Visalia, California. she moved down to orange county in 2012 for all the wonderful shopping, sunny beaches, and perfect climate! She loves working with Dr. Barnes and staff being Newport’s leading dental office, serving our patients with great care and quality. She values her time spent bonding with patience and creating a warm environment for the most enjoyable visit possible. How you act and feel may be more complex than one thinks. Not only is it related to what you eat and drink, it also is directly related to how you eat and drink. More specifically, your oral hygiene. Healthy teeth give you a healthy smile. Self confidence with a fresh breath. Many diseases originate in lack of oral health. Quality is paramount to his success. And it shows in everything he does. Having the opportunity to practice in Newport Beach for almost three decades, having the ability to treat his patients with the highest quality of materials, attention to detail and seeing his patients thrive under his comprehensive care for the rest of their lives has proved a winning combination for many residents of orange county. Dr. Michael Barnes has had the great pleasure and opportunity to work along side his Dentist/father 28 years ago when he first graduated from the University Of The Pacific, Arthur A. Dugoni School of Dentistry. Having grown up around his fathers’ dental practice in Newport Center and seeing first hand on how to treat people in a world class patient centered practice has undoubtedly prepared Dr. Barnes for a life long commitment to excellence, and the knowledge that quality and honesty will always be in favor! A picture often says more than 1000 words. We are proud to show you some of our work. Some of the cases are still a work in progress, and will look even better, once they are done. That being said, we believe that no additional words are needed, look for yourself. Our goal is to provide patients with superb dental services in a passionate caring environment with integrity above all else. Building a family of life long relationships is a sign our goals are being achieved.